A few weeks back, Kanye West said that the long-awaited sequel to his 2011 collaborative project with Jay-Z, Watch The Throne would be coming soon. 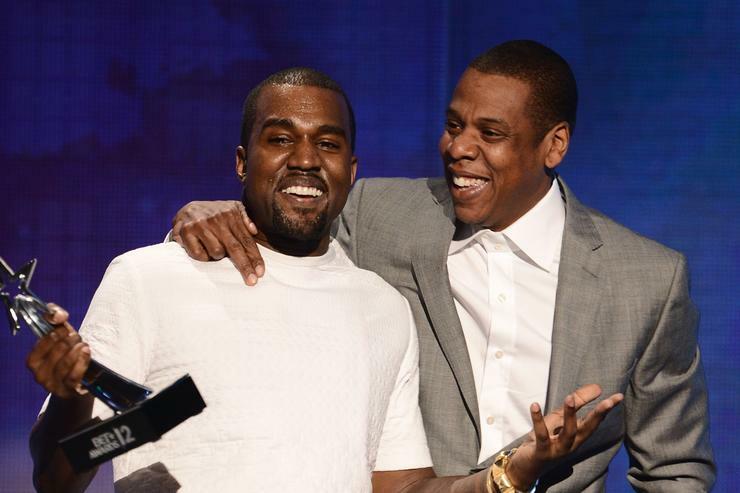 Jay-Z and Kanye West’s history over the past few years have been confusing. Although Ye considers Hov his big brother and came up underneath the Brooklyn MC, things took a turn for the worst a few years back when ‘Ye criticised Jay and Beyonce at a 2016 concert. While neither have squashed things publicly, it seems as if the two have made-up. Kanye West has been sharing some gems on his Instagram ever since he made his return to the photo-sharing social media app earlier this month. The rapper shared a photo of Jay-Z and Beyonce looking boo’d up with the caption, “famleeee.” ‘Ye also shared a caption with an emoji of the Roc hand sign. At this point, neither Jay-Z and Beyonce have publicly come out to confirm that everything has been reconciled with Kanye but it would appear as if Kanye and Jay resolved their issues behind the scenes. While Kanye seems to be alluding that everything is good, maybe the two are waiting to officially squash their beef publicly at the right time. With Kanye West getting ready to release his next album Yandhi in a bit over a week, maybe we’ll see Jay-Z appear somewhere on the tracklist.